The Windows Phone started to gain some traction in European markets during the last 12 weeks. WP is now challenging RIM, maker of the BlackBerry, for third place in Europe, according to a new report from Kantar Worldpanel ComTech. The WPP-owned market research company released sales data from Europe and the U.S. for the past 12 weeks, ending Sept 2. The research group credited lower-end mobile devices such as the Nokia 610 for bolstering sales in Italy and France as Europeans look for better deals in their smartphones. The data showed Windows' sales grew 6.6 percent in Italy, 3.5 percent in France and 2.3 percent in Great Britain over the three month period. Windows' biggest stronghold is in Italy where the mobile OS commands 10.4 percent of the market share. WP shot past RIM as its market share declined 14.7 percent in Italy during the last year to settle at 5.5 percent. 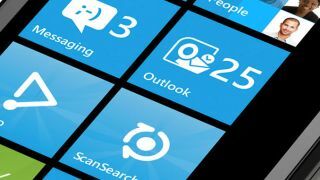 "Windows is making steady progress in the big European economies and is now challenging BlackBerry for third spot in the European OS league," Dominic Sunnebo, an analyst for Kantar Worldpanel, said in a press release. "With the momentum Windows 8 will bring towards the end of 2012, it seems highly likely that it will achieve this before the end of the year." If these trends continue in Italy, WP could end up taking Apple's top spot in smartphone sales. Apple's market share slipped almost 4 percent in the last year, retaining the top spot with a 14.7 percent market share in the boot-shaped country. But, the recent release of the iPhone 5 is sure to give Apple some fodder to fuel sales, making this a very steep uphill battle for Windows. However, an Italian victory may be a moral win more than anything else. Windows only has a 5 percent share across the entire European market. Android and iOS still dominate European sales with an 82.4 percent market share. Italian sales don't seem to be indicative of any other markets. Windows has a market share of 4.4 percent in Great Britain, 4 percent in Germany, 5.7 percent in France and 2.7 percent in the U.S. But Windows seems to be making progress, seeing mostly positive growth over the past year as companies like RIM, Symbian, and Apple lost market shares. Yet, Kantar Worldpanel's data shows Android gaining the most ground in the past year, seeing double digit growth in most markets across the world. But things may change, Windows 8 mobile OS is rumored to release fairly soon, which might help Windows close the distance on its competitors.